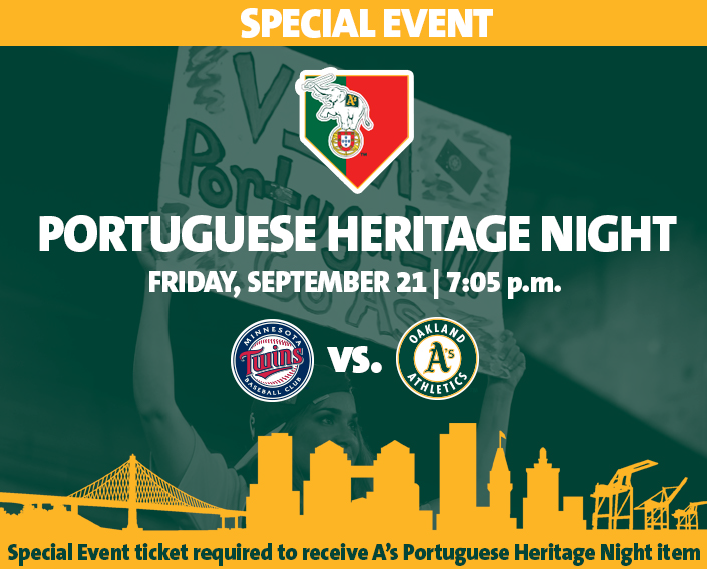 Join the A’s for our annual Portuguese Heritage Night on September 21. 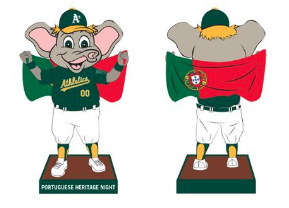 All participants that purchase a SPECIAL TICKET for this event will receive an exclusive A’s Portuguese Heritage Stomper Bobblehead and access to our pregame party in Championship Plaza! In addition the A’s will also be giving out the Sean Manaea No-Hitter Bobblehead as well – that’s a rarity! Get your tickets now! We hope to see you at this year’s event. Thanks and Go A’s! © 2019 Lusitano Club of California. All Rights Reserved.